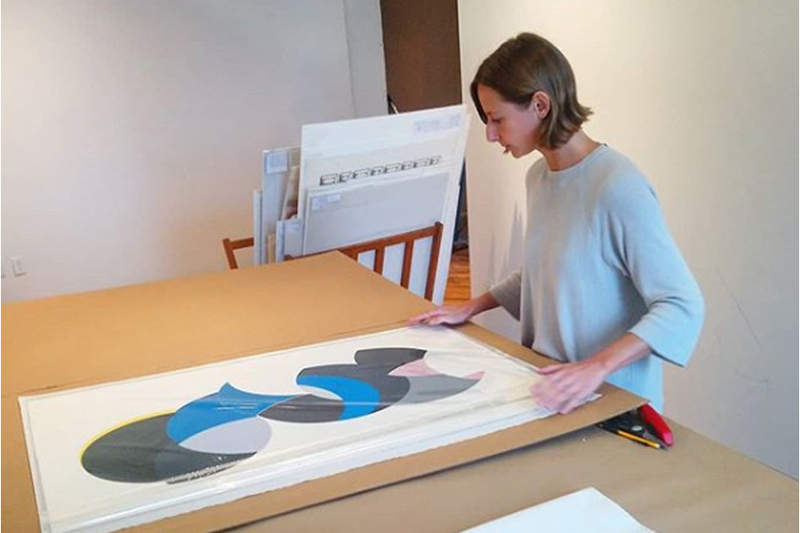 The Open Studio Print Sales Program is a wonderful resource for new and exciting Canadian prints. I always enjoy looking through the print inventory seeing new works. The staff is very knowledgeable, always helpful, and a pleasure to do business with. Open Studio’s Shop sells original fine art prints, offering artwork by over 150 artists. We have an actively rotating selection of fine art prints and multiples on display in the shop, so there’s always something new to see! Drop in to shop, or if you prefer, our Sales and Archive Manager, Rebecca Travis, provides personalized consultations for individuals, businesses, designers, or anyone looking to buy fine art prints to start or add to their art collection. Looking for a gift certificate? We can provide those as well and have a gift registry. For more information, or to set up an appointment, contact our Sales and Archive Manager, Rebecca Travis, at rebecca@openstudio.ca or call 416-504-8238. Can’t make it in for an in-person visit? Visit out online shop: www.openstudioshop.ca.